On a hot summer's day, and especially at sunset, we don't think you can beat it. 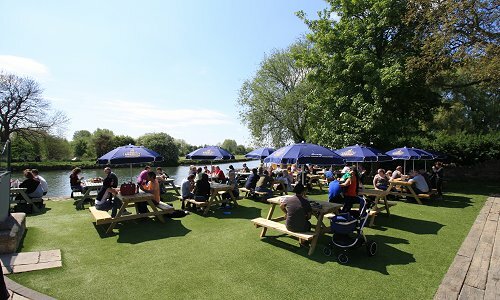 The ideal place to enjoy life with a cool drink & a bite to eat outside by the Thames. 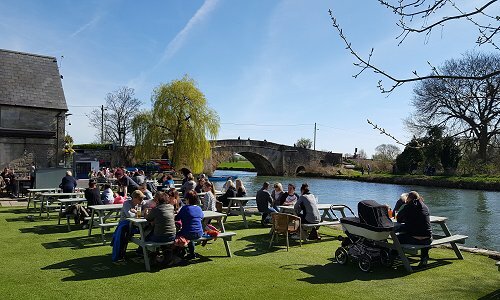 Sitting right on the river (and where comedian David Walliams started his Sport Relief 140-mile swim down the Thames from in 2011), our garden area & terrace offers a wonderful place to watch the world go by. Looking out over the historic 18th century Ha'penny Bridge, you'll see swans & ducks gliding past, together with boats big & small passing through or mooring up. 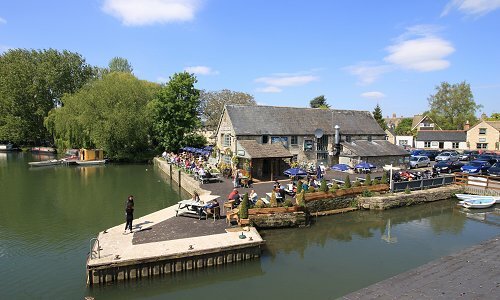 Those who fancy getting even closer the water, can even hire a rowing boat, canoe or motorboat to enjoy a quick trip down the river to explore this wonderful part of the world some more.